We export and supply Frozen Buffalo Tripes that are widely demanded in homes, hotels and restaurants for preparing various delectable cuisines. 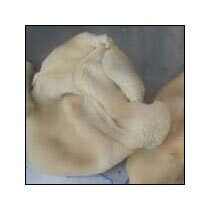 Frozen Buffalo Tripes that we offer are properly cleaned and hygienically processed. The freezing process used to freeze the buffalo tripes ensures that the natural taste and texture of the meat remains the same. Our Frozen Buffalo Tripes are stored in such temperatures that will avoid the growth of microorganisms.